Of the causes of knee pain, the one you will seldom hear about is chronic dehydration. Actually, a more correct description of the knee pain cause is chronic fluid and electrolyte imbalance. Not enough fluid: Not just any fluid. You are not getting enough water. Unfortunately, liquid is not an accurate term for what your body needs. Yes we get liquids in juices. 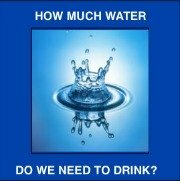 Our bodies do not read them as water and if they have sugar, they cause more damage than good when it comes knee pain. Even coffee does not work as a fluid. Actually, coffee is only slightly more dehydrating than water according to studies. Yes, water on its own is dehydrating. You need the salt in your body before you drink the salt to get the benefit of the water. The cartilage surfaces of bones contain considerable amounts of water. The water acts like a lubricant, allowing the two surfaces to slide over each other as the joints move. 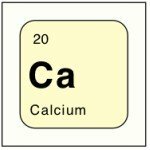 The bones are made of calcium that continuously breaks down and rebuild also using water in the process. The bones are nourished by means of blood vessels. The cartilage is not. It does not have blood vessels like the bones or even our other body tissues. It is supplied with nutrients by diffusion. In order to get the nutrients to the joint, our bodies need electrolytes to help the transportation of the water to the cartilage. On its own, the cartilage heals very slowly. With out water, it heals even slower. 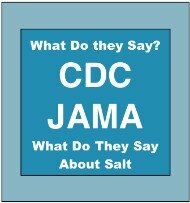 With out the electrolytes and minerals in unprocessed sea salt to help the transport, the healing is even slower yet. As the cartilage slide over each other, some of the cells die and peel away. 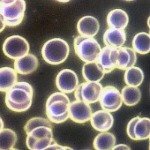 New cells are constantly produced from the cells attached to the end of the bone structure. This is part of the design. When the cell is well hydrated, the friction and resulting damage is equal to the rate of creation of new cells. This is one of the reasons for pain in back of knee that some have to deal with. Once well hydrated, the chief causes of knee pain are eliminated for most people. When the body is in a state of dehydration, the abrasive damage to the cartilage cells is increased beyond the rate of creation of new cells. 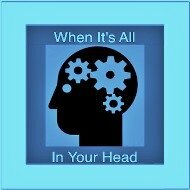 Once the destruction reaches a tipping point, it is thought that there is no healing. However, this may not be so. As a first year nursing student, one of my patients refused amputation. To save his life, he required all of the gangrenous tissue removed from his leg. This left his tibia and fibula totally exposed. Wet dressings were applied three times a day. The skin above and below were in tact but you could look through from one side to the other. The white bones were exposed and open to the air when the dressing were removed. After a several days of the dressing changes, something remarkable happened. The bones started turning pink. Actually, the pink was new skin growing. The skin was the same color pink as mucous membrane. Within another week, the white of the bone was no longer visible as the new skin had fully granulated or covered the bone surface. At the time this happened, over 29 years ago, the thinking was that it was not possible. How would there be any way of knowing. Most gangrenous legs were amputated or the patient died. No doctor ever did what these doctors did. So, can cartilage regenerate once it is destroyed. There is obviously a tipping point. A point of no return. However, if someone was to make a drastic life change and dietary changes, even taking necessary supplements and providing the proper care, could it heal? We just do not know what we do not know. The key, how far would you go to heal? As to the rest of us, there is no doubt that water cures will help the damage done to cartilage. How do we know. Just ask anyone who has tried it. 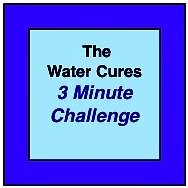 If water cures has solved the chief of the causes of pain behind knee that you used to feel (dehydration), then please share your story to help others. Many have said that this is the most important first knee pain treatment that those who get a knee pain diagnoses should start first. Everyone likes good news. 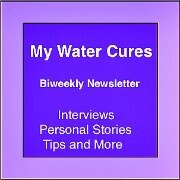 Tell us your good news on using the Water Cures Protocol for knee pain. Did it work or not. 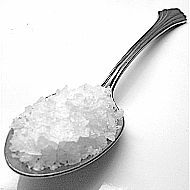 One of the Water Cures Coaches, a holistic nurse who uses this on his clients is reporting success in over 80 percent of those who try sea salt and water to end their knee pain. What about you? Let others here know if it works or not.